Have you ever been through a hard time in life? Ever wondered why bad things happen? Amber Neben has you covered. 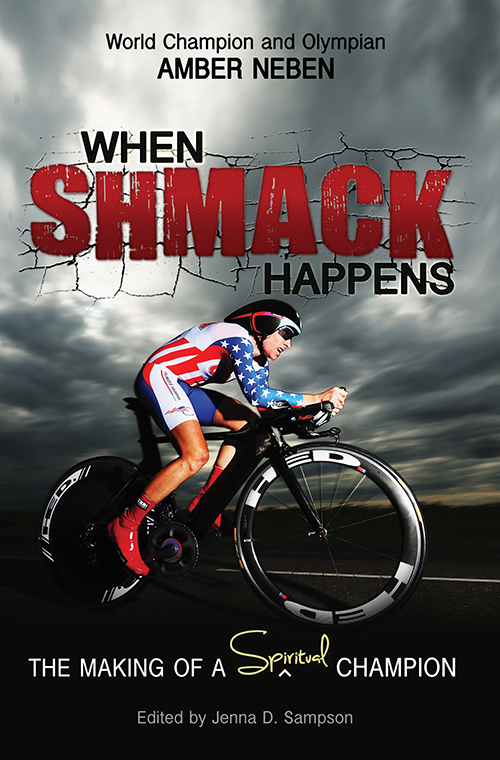 The 2x Olympic cyclist for Team USA knows a thing or two about shmack- her word for describing adversity that comes our way in life. Follow Amber’s journey as she overcomes major obstacles both on and off the bike-and encourages you to join her in developing the perseverance, patience, perspective, and power than only Christ can give us. Very few people may know or understand what road cycling is, but everyone knows what it means to be an Olympian. The champion road cyclist chronicles her disappointments and failures, as well as amazing comebacks and victories-while thrilling audiences along the way with gripping stories of faith and hope. After reading When Shmack Happens, you’ll feel equipped and encouraged to face life’s tough moments, and find yourself cheering for Amber to get back on the bike…one more time. Learn what it means to be a spiritual champion in God’s eyes. Fear gripped me as I skidded to a stop against the guardrail and looked up at the entire peloton riding toward my head. Another rider had just slid into my front wheel, causing it to turn violently sideways, ripping the handlebars out of my hands, and instantly halting the bike’s forward momentum. Since my body was still carrying the 30-plus mph speed and energy, I launched with my arms out like superman until I hit the pavement. Hard. The combination of the friction of my body on the road followed by the impact with the guardrail spun me around, so I could see what was coming at me. For a few seconds more, I was terrified of being run over until the peloton had passed. After this immediate danger was gone, I realized my finger was screaming at me. I hadn’t initially noticed it, but now it hurt like nothing I had ever felt. Fear grabbed me again as I connected the pain with the blood and the massive gash on it. I thought for sure I was going to lose the tip of it if I didn’t get help fast. I had no idea what had just occurred. We had crested a climb and started an easy downhill. I was still up front on the outside of the group. The corner was sweeping to the left, and I was looking far down the road…when suddenly I was tossed. It wasn’t until later that night that the rider who was behind me explained what had happened, and why I had no chance to react or had any sense that it was coming. I was in the middle of the 2009 racing season, coming off of the World Championship win the previous year. Only two days prior, I had won the time trial stage in this race, the women’s Giro d’Italia. The win had catapulted me into the General Classification (GC) lead, and although I had cramped the next day and lost it, I was still close enough to fight back. There were enough hill-top finishes remaining, and I wasn’t planning on giving up the race so easily. However, in an instant, everything changed. I went from being in contention, to being bloodied on the side of an Italian road in the middle of nowhere, waiting for the race ambulance and a doctor. Amber Neben is a decorated international road cyclist with victories in 11 countries and multiple UCI Category 1 stage race wins. She is a 2x Olympian, 2x World Champion, 2x Pan American Champion and 2x National Champion. She holds a B.S. from The University of Nebraska and an M.S. from UC Irvine. Amber and her husband, Jason, reside in Lake Forest, CA. For information on speaking engagements or coaching visit amberneben.com. Thank you for this interview, Jermaine. 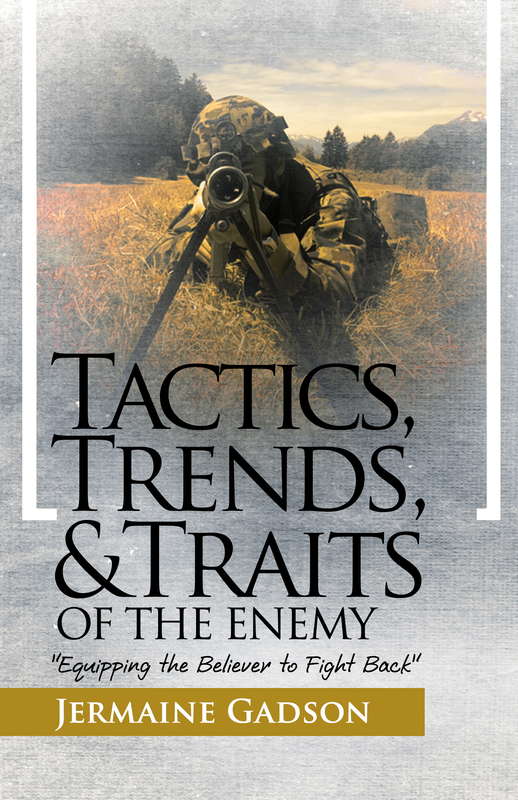 Can you tell us what your latest book, Tactics, Trends, and Traits of the Enemy, is all about? Yes, Tactics, Trends, and Traits, of the Enemy is about equipping people with the knowledge and wisdom to overcome various struggles in life that are a direct result of spiritual adversity. This book takes the spookiness out of spiritual warfare by exposing the Enemy’s strategies that present themselves in struggles that people face every day, that they may not be aware of as demonic attacks. 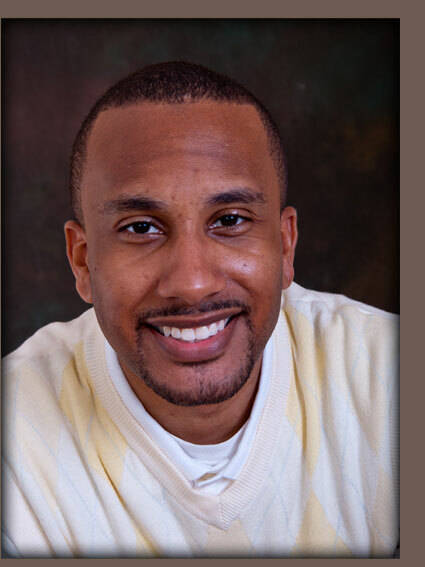 The idea for the book came from reflecting on my own life and some of the experiences that I have had, thinking about questions and concerns that I have encountered in providing pastoral counseling to others, as well as gleaning from a Bible study series that I taught at my church. What kind of research did you do before and during the writing of your book? Most of the research for the book came from studying the Bible, and looking at various stories, passages, and illustrations that dealt with the various topics that are dealt with in the book. A person who is interested in the Bible or who enjoys Bible study material will enjoy this book. Those who are familiar with the Bible, as well as those who are not as familiar, will be challenged to look at certain passages of Scripture in a new way. The material in this book is not what you would find in a typical Sunday school lesson. You will be inspired, encouraged, enlightened, and even surprised by what you will find. If a reader can come away from reading your book with one valuable message, what would that be? One valuable message that a reader can come away with is the understanding that knowledge is power. People are destroyed because of a lack of knowledge. The more we know about the Enemy and his strategies, the better we are equipped to identify his tactics, and ultimate defeat him. Can you give us a short excerpt? As human beings, we are not just flesh and blood. We are spirit beings also. Our lives are shaped and impacted by the reality and intertwining of two realms: the spirit and the natural. The natural realm is the one that we are the most familiar with. However, our lack of familiarity with the spirit realm does not negate its existence, nor render powerless its influence in our lives. The spirit realm is just as real and impactful as the natural, and even more so. For everything that you see and experience in the natural, there is something that corresponds to it in the spirit. With that being said, we have to understand that we have an enemy: a real enemy, a spiritual enemy. This enemy is an adversary against God, humanity, and everything that God has created. His name is Satan. He and his army of countless devils will stop at nothing to destroy God’s great creation, namely the human race. In this book, I am sharing insights that I have gained from my study of the Bible, personal experiences as a believer, and nearly ten years of experience as a pastor and fifteen years as a minister. God’s people are being destroyed from a lack of knowledge. It is not God’s will for His people to be ignorant of Satan’s devices. It is God’s will that His people be equipped to stand strong and boldly against the Enemy and his devilish schemes. The purpose of this book is to equip the body of Christ to be prepared to recognize demonic tactics and attacks, resist the Devil and his forces, and stand firm in the victory that is already ours in Jesus Christ. 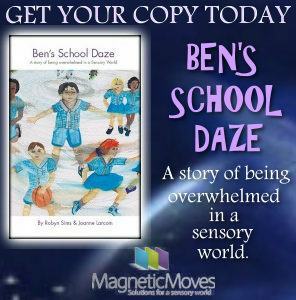 In your own experience, is it hard to get a nonfiction book published today? How did you do it? This is my first book, and it is self-published. Self-publishing is hard work, but if you are willing to do the work to get your message out it won’t seem so bad. 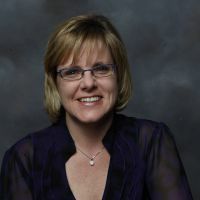 Trying to get published by a traditional publisher has different dynamics, and may be more difficult for some than for others, depending on the topic, genre, publisher, and current market. A typical day includes getting my family ready to leave home in the morning, spending time in prayer and devotion, writing, blogging and posting for my social media sites, preparing the media presentation and message for Sunday service, run errands or attend to business affairs, picking my daughter up from school, preparing and eating dinner with my family, enjoying some downtime or playtime with my daughter, debrief the day with my wife, and finally, get ready for the next day. Next, I plan to work on a curriculum to accompany the book. I am also preparing to write a second book to be released later this year or next year. Thank you so much for this interview, Jermaine. We wish you much success! Thank you, so much for this interview. I appreciate it! False teachings threatening to corrupt the Church forced the leaders to join in councils, where they codified the orthodox teaching of the Bible into creeds received by the Church as faithful distillations of Scriptural truth and as a bulwark against future corruption. Error, heresy, and outright paganism are today common in churches that were once sound. Even many “better” churches have little depth to their teaching and are silent on critical issues of the day, and even in some paganism masquerades as Christianity. 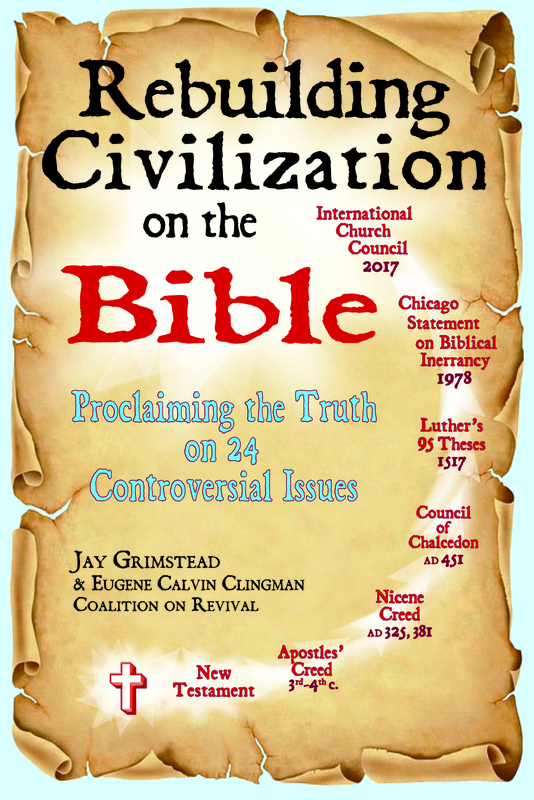 This book is the fruit of the work of hundreds of theologians and Christian leaders working throughout a 37-year period to define and defend the key Biblical points on 24 controversial issues — which would not even be controversial if all believed like Jesus and Paul in the inerrancy of the Bible. This book states the Bible’s position on 24 controversial issues and explains why each document needed to be written. It offers the global Body of Christ tools for reforming the Church and motivating Christians to live in obedience to Christ and to all commands in the Bible intended for us. Dr. Jay Grimstead was born in Bismarck, ND. 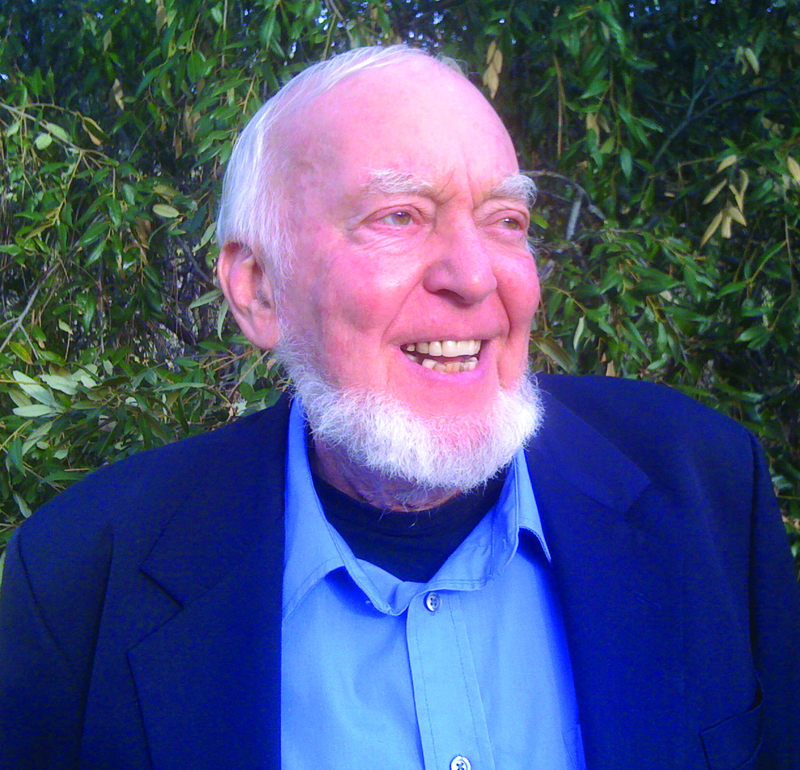 He received his Bachelor of Science degree in Biology in 1957 from Sterling College in Sterling, KS. He graduated from Fuller Seminary in 1961 with a Masters in Theology (ThM) and later received a Doctor of Ministry (DMin) degree. He spent 20 years on staff with Young Life Campaign, a ministry of clubs and camping to evangelize and disciple non-church teenagers. In 1984 he founded the Coalition on Revival which created the 17 World-view Documents which state the biblical principles for the various spheres of life and the “blueprints for how the Bible applies to the fields of: Law, Government, Economics, Education, Science, the Media & Arts, Medicine, etc.” Under his leadership, COR organized the International Church Council Project in 1992. Dr. Grimstead now lives with his wife, Donna, a registered pharmacist, in Murphys, CA. They have two grown children, Julie and Guy. Dr. Grimstead’s favorite hobbies are mountain climbing and playing jazz and blues on his trumpet. 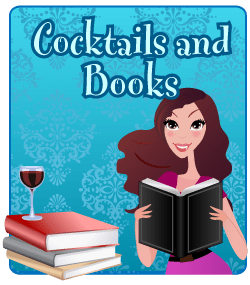 Pump Up Your Book and Dr. Jay are teaming up to give away a $25 Amazon Gift Card! This giveaway begins June 2 and ends on June 27, 2014. Winner will be contacted via email by July 2, 2014. Winner has 72 hours to reply. Before engaging in battle of any kind, it is very important to be familiar with the opposition. The more you know about your enemy, the greater you will be equipped to fight against them and be victorious. Knowing your enemy includes being knowledgeable of their strengths, weaknesses, habits, origin, and the like. When you are knowledgeable about your adversary, you become empowered to develop a plan of action or strategy to adequately defend against their opposition, overcome their threats and defensive mechanisms, and ultimately defeat them. Athletes and those who follow sports are familiar and acquainted with this principle. Coaches and players spend hours upon hours viewing video recordings of not only their own team, but of their upcoming opponents as well. They view recordings to evaluate their own strengths and weaknesses as revealed by previous games, and they do the same to identify strengths and weaknesses of the next team they have to face. This principle is certainly pertinent in the area of the military as well. No military general, or top ranking official who has authority over military personnel will in their right mind authorize the use of military force without adequate information concerning the enemy to be attacked. Right decisions require right information. This is especially true if you want to come out victorious and on top. Now that we can see the importance of this principle from a natural standpoint, it makes sense that this would also apply spiritually in relation to how we are to do battle with our spiritual enemy. As you read this book, I hope that you will be able to see the importance of this material in helping you towards this very end. The reason this book is so important is because the person reading it is like a ballplayer looking at tape of his or her opponent or a military general gathering intelligence on a terrorist organization. When you know where your enemy came from, what your enemy has done in the past, and what your enemy is presently capable of, you are more readily prepared to wage a good warfare and defeat him in any present or future encounters you may have. Pump Up Your Book and Jermaine are teaming up to give away a $25 Amazon Gift Card! This giveaway begins May 19 and ends on May 31, 2014. Winners will be contacted via email on June 2, 2014. 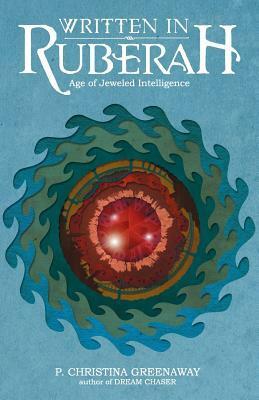 Interview with RL Keller, Author of Man’s Rejection of God: Who’s Responsible? Richard Louis Keller was born in Newark, NJ in 1955 and grew up in Middletown Township (NJ). He graduated from Montclair State College in 1978 with a degree in Broadcasting. Rich gave his life to Christ in 1979. Since his conversion he has spent time ministering for the Lord in various capacities. God gave Rich the gift of communication. He uses that gift by writing a daily devotional blog and has had two other books published. Q: Thank you for this interview, Rich. 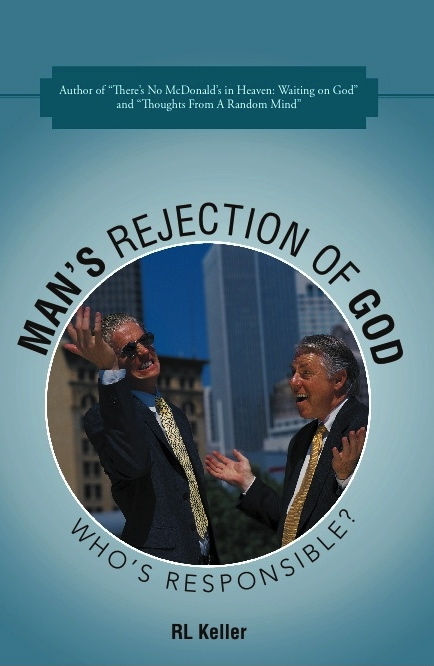 Can you tell us what your latest book, Man’s Rejection of God: Who’s Responsible?, is all about? A: It’s a book that has a little bit of everything in it. I define various groups, such as atheists and agnostics; delve into the cult of personality and the psychology of minimalism and individualism; it compares the three main world religions to Christianity and much more in an effort to determine whose fault it is that people reject God. Since Christians believe man has been given a free will, we can’t take all the blame; however, the inconsistency with which we live our faith provides a convenient excuse for non-believers to turn away from God. In the end, I call all Christians to take a hard look at themselves in the mirror to determine how much like Jesus they really are. We must assess and continually reassess our walk with God so that we become less of a reason for others to walk away. Q: How did you come up with the idea? A: I see Christians all around me struggling with their faith. This is my way of allowing God to use me to encourage and edify them so that they can re-energize their walk with Christ and be everything God intended them to be. In all my books I attempt to educate believers in areas where they may be lacking, show them how much they are loved by God and give them something important to think about in the process. Q: What kind of research did you do before and during the writing of your book? A: I get an idea of what I want to write and fill in the blanks as I go. What I mean by that is that I add quotes, scripture verses, and background information as I am writing the text of the book. Any research I might have done in the past has been saved on thumb drives so I can draw from it as I go along. I use the Internet to access just about any research tool I might need, from online dictionaries, encyclopedias, bible text or any other historical information. Before I know it the book is complete. Q: If a reader can come away from reading your book with one valuable message, what would that be? A: I wish my readers to realize that our walk with Christ isn’t meant to be a struggle, but rather an exciting adventure. If we can step back and take a look at who God truly is and who we are in light of that, we may just get the jump-start we need to revitalize a sagging relationship. And that’s what this walk with God is, a personal relationship with a living God. Q: Can you give us a short excerpt? There was a purpose for each event in history that has taken place just as there is a reason for what takes place now. I don’t pretend to know the mind of God in all matters; I just know that things happen in life and we don’t know all the details. There are facts that are unknown to us. All we know is what the history books tell us and the media spoon feeds us. I do know this though: it’s a messy, bloody world we live in. Things that are wrong are made to seem right and vice versa. Sins are committed against God every day and the ultimate consequence of those sins is death unless a blood sacrifice is made on behalf of the offender. That blood sacrifice was made when Jesus Christ willingly shed His own blood to cleanse all of mankind of their sins. It must be understood that forgiveness isn’t freely doled out to everyone arbitrarily; we must ask for forgiveness in faith believing to be cleansed. There is no doubt that Christ was a lightning rod for controversy during His life and still is today? Could it be because His teachings contradicted the teachings of the religious leaders of His day? When you deal with people you are dealing with egos, control and power. Jesus was stripping some of that away from the religious leaders and they took exception to it; so much so that they wanted Him dead. That seems like an extreme way to rid themselves of their perceived problem. They didn’t think about the consequences that would result from Christ’s death. Christ knew exactly what the consequences were as a result of His obedience to God’s plan. They spelled death for Him. The disobedience of all mankind was to be removed by the obedience of one man. Man’s disobedience resulted in millions of sins down through the ages past and present. The weight of these sins must have been enormous. I feel heaviness from the weight of conviction for one sin that I haven’t sought forgiveness for; can you imagine the heaviness Christ felt when He hung on the cross? The life that we choose to live on this earth is essentially what we make it. We can take a good path or a bad path. We can skate along the fine line that differentiates legal from illegal, right and wrong. We can live Godly lives or follow the path to who knows where. Each decision we make in this life comes with consequences. Q: In your own experience, is it hard to get a nonfiction book published today? How did you do it? A: I had my book self-published, which means I paid Westbow Press to publish the book for me. It is my hope that I will someday be picked up as a contract author for a publishing house such as Thomas Nelson or Zondervan. A: I rise in the morning, have breakfast, tend to the dogs, write my daily devotional for my Bread of Life Blog, post an entry on my Author Blog, then either touch up a teaching, write on my new book, design marketing items, change up the home page on my ministry website, or numerous other things that need to be tended to. I’m at the laptop much of the day. I might take the dogs for a walk if the weather permits or watch a documentary on an important event in American History. In between all that I eat lunch and make sure I’m not forgetting anything. A: I have book signings coming up in NJ at all three Jesus Book & Gift Stores in May. Consult my website’s Scheduled Events page for details. I am putting together a speaking tour for the churches of New Jersey for 2014-15 and have just begun writing my 4th book tentatively titled Stark Raving Obedience. Q: Thank you so much for this interview, Rich. We wish you much success! A: Thank you for the opportunity, I appreciate it very much. A thundering sound like the drumming of kettledrums blasts through the mine, and the ley line shoots forward. Kate and Miriam hold hands and whiz down the tunnel on the beam of red light. Huge rocks at the end of the mine slide apart, and the girl and the woman skid into the ocean. The ley line expands and encases them in a bullet of light that looks like a futuristic, high-speed railway car. Their globes collapse into rings of ruby light and lie around their necks. Miriam tunes her out. Please God, she won’t have to use this astral disk thing—it’s hard enough to keep up with the computers of this world, let alone deal with some intergalactic system. She wonders what’s governing their speed now, but doesn’t ask. It might be Kate, in which case she’d rather not know. Foretune to travel well. Watching the waters of the Atlantic splash by, she tells herself that gliding along beneath the sea—breathing air without knowing where it’s coming from, losing complete control of her life—is a good thing. Panic beats beneath her every breath. Christina has worked at BBC radio in England, a NYC high-powered ad agency, as assistant to the president of a perfume company in France, as a partner for a frog farm in Costa Rica, and numerous other venues. She has traversed the globe. 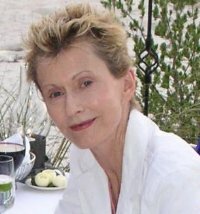 She is the author of Written in Ruberah, published by Girl by the Sea Publishing, and Dream Chaser: Awakening, published by Girl by the Sea. You can visit Christina at www.christinagreenaway.com or her blog at http://christinagreenaway.wordpress.com. Can you tell us what your book is about? 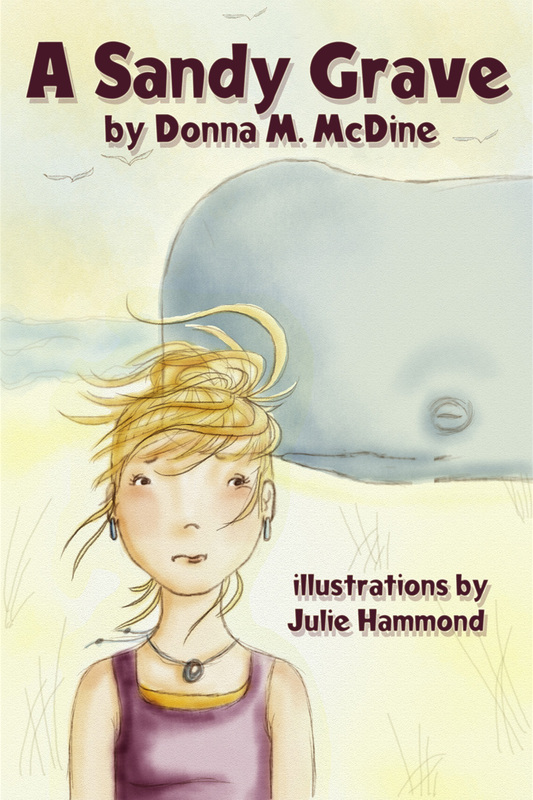 While three young girlfriends are vacationing with their families they discover a dead washed up whale on the beach. The realization that poachers often times attempt to steal whales’ teeth, sets a mystery into motion. While reading the newspaper I came across a story about a dead washed up whale on a California beach and what the authorities had to do to protect the whale before being able to bury it. Can you tell us a little about your main and supporting characters? The trio of girlfriends is a curious bunch and enjoy their friendship immensely. They often times tease each other, but respect and love is apparent in their friendships. Are you consciously aware of the plot before you begin a novel or do you discover it as you write? I typically start with a story outline and character profiles and then the plot evolves during my writing process. Your book is set at the beach. Can you tell us why you chose this setting in particular? The topic of poachers and the Endangered Species Act and the Mammal Protection Act are directly related to the beach and ocean. Open the book to any page. What is happening? After discovering the washed up whale and hearing what the authorities were doing to protect the whale, the main character, Leah, immediately gets a creepy feeling about two filthy men, looking on from a sand dune. Is it hard to get a children’s book published? In my experience, the road to publication with any genre is not an easy path. We often hear write what you love, but it’s important to study the markets to learn what publishers are interested in and make your best attempt in creating a manuscript that adheres to their guidelines. 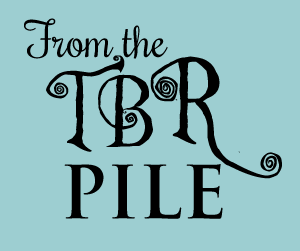 Is it hard to promote a children’s book and where do you start? An author wears many hats and promoter is one of them. Even before one’s book is published it is imperative you market yourself and your writing on at least a weekly if not daily basis. I’m not saying, you should be jumping up and down and saying hey look at me. I feel it’s more important to become involved with online and in-person writer’s groups and become an active member of discussions and not just tooting your own horn. Visit libraries and schools through author visits, with a combination of volunteer opportunities and select events profiling you and your books. Have you suffered from writer’s block and what do you do to get back on track? If I feel a block I often times go out for a walk, meditate, or make a hot cup of tea and read the paper or the book I’m currently reading. What would you do with an extra hour today if you could do anything you wanted? Visit with my parents and father-in-law and have a nice leisurely chat without having the world intrude. Which holiday is your favorite and why? Memorial Day. It’s a time of renewal of our gardens and everything green. The weather is usually at a terrific temperature for getting that first barbeque off to a great start with friends and family. If we were to meet for lunch to talk books, where would we go? The Barnes and Noble café at our local mall or Panera. What do you like the most about being an author? Engaging with students in lively conversation during school or library visits. Since children are becoming more and more visual with all the technology around them, I find that starting off with a brief introduction and then the showing of my latest book video trailer gets the conversation going faster. What kind of advice would you give other fiction authors? Fiction writers need to conduct their research so that their stories are accurate. For instance, if your story is based around a particular sport, you need to make sure anything involving the sport is accurate. • This giveaway begins March 3 and ends on April 25, 2014. • Winner will be contacted via email.